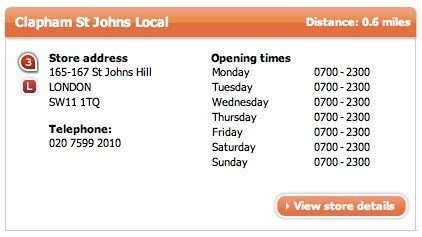 Sainsbury's did indeed 'SW11tch' and remove the name of their store "Clapham St John's Local". 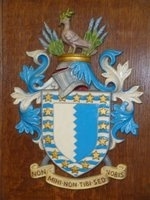 It then reappeared as "Wandsworth St John’s Hill Local". Naturally, those in the know realise that St. John's Hill is in Battersea and not Wandsworth Town, so we wrote to the Chief Executive of Sainsbury's - Justin King - and impressively he had the courtesy, and took the time to reply personally. In his reply he said he was sorry that were unhappy with the renaming, and expresses appreciation for our campaign, but explained a new change of policy at Sainsbury's over the naming of stores, which was clearly not something we could change! However, the good news is that we got the 'Clapham' label removed. "Thank you for your email and for giving me the opportunity to personally reply to you. I am sorry you are unhappy with the renaming of our Wandsworth St John’s Hill Local store. I appreciate you are very passionate about your campaign to support Battersea. We would not usually change a store name retrospectively, unless we were opening up a store close by and the name would cause some confusion. On this occasion, following your feedback, we reviewed the name as we recognised this is something that is very important to you and your local community. We recently introduced a guideline for naming new stores and following these guidelines, we have changed the name of the store to Wandsworth St John’s Hill Local store. This is based on Wandsworth being the Borough in which the store is located, followed by the road name to clearly indicate the location. I am grateful to you for taking the time to contact me. I know this is not the answer you are looking for, however I do hope you will understand why we reached our decision for the name of our store. Sainsbury's so called "Local" store on Battersea's famous St John's Hill, has been incorrectly named "Clapham St John's Local"
- it should be called "Battersea St John's Local"
Local people from Battersea who love their home and community are calling for Sainsburys, one of the biggest retail store businesses in the UK to take a look at Googlemaps, Streetmap or any other map and understand that they are applying the name "Clapham" to a store that is on one of Battersea's famous roads - St John's Hill, in the Borough of Wandsworth, and far away from Clapham, which is located in the Borough of Lambeth. One shocked local shopper raised the issue with Sainsbury's and has reported back that he "Got a reply from Sainsburys about Clapham St Johns shop." and they said "Basically "it's our shop, we'll call it what we want." "
Well, should the people of Battersea conclude that any Sainsbury's spokesperson who says such a disrespectful thing about beautiful Battersea must be inSanesberry to do such a thing? We call on Sainsbury's not to be inSanesberries and show Battersea that they love us and are delighted to be part of our community's family. 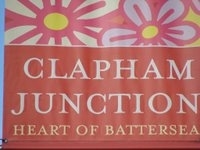 They will see that if they Love Battersea, Battersea will love them back. Surely that can't be too much to ask of you Sainsbury's? - and it won't cost you a bean or any pasty VAT!